You’ve got to love spring. There are a lot of things to look forward to – summer, Christmas, holidays, daylight savings -the list goes on. 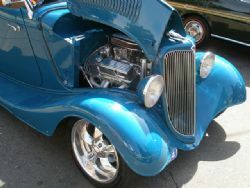 Another reason I love spring is the array of classic car shows and events that appear on the calendar. I had made the decision to dust off the corvette and get out and see a few events this spring so when Sunday 20th September came around with sunshine and a piercing blue sky it provided the perfect opportunity to see what was on. 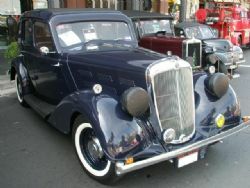 The Burwood Festival Classic Car Show n Shine was closest to home so I headed out early to check out the action. This event requires pre-registration so I was going as a spectator. Downtown Burwood has a stunning park which was the central focus of the festival. The car show is a part of the festival and it attracts plenty of admirers but the festival itself is the major draw card here, not the cars. Massive is the only way to describe it. Market stalls, food vendors, charities, lots of entertainment, live bands, ghost train, dodgem cars, puppet shows and much, much more. If you have kids this is a stand out event and there is enough to keep them entertained from sun up to sundown. The classic car show in comparison was a bit of a disappointment. I say that because of quantity, not quality. The enormity of the festival was not mirrored by the number of classics on display. What was there was of a high quality, there just needed to be more. A large chunk of Burwood Road is closed to traffic and the classics lined both sides of the street then swung around the corner and ran up beside the park. A solid turnout from local V8 Holden, FJ, Ford Mustang, Morris and Fiat car clubs helped with the numbers and there were some stunning examples of these marques on show. 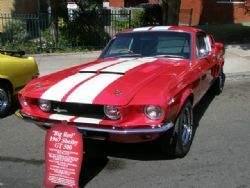 A number of American and Australian muscle cars were represented with a few quality XY GT Falcons interspersed with Camaro, Barracuda, Mustang, Monaro and Shelby badges and a token 58 Chev. Check out the pictures of my picks of the day as I didn’t make the trophy presentation at 3.30 in the afternoon. For enthusiasts with kids that can’t sit still this is a great day out. 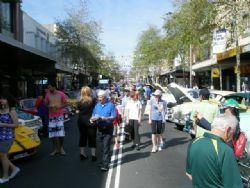 They can charge off and check out the festival while the cafe lined street provides eye candy, classics and a relaxed atmosphere for the grown ups to enjoy.